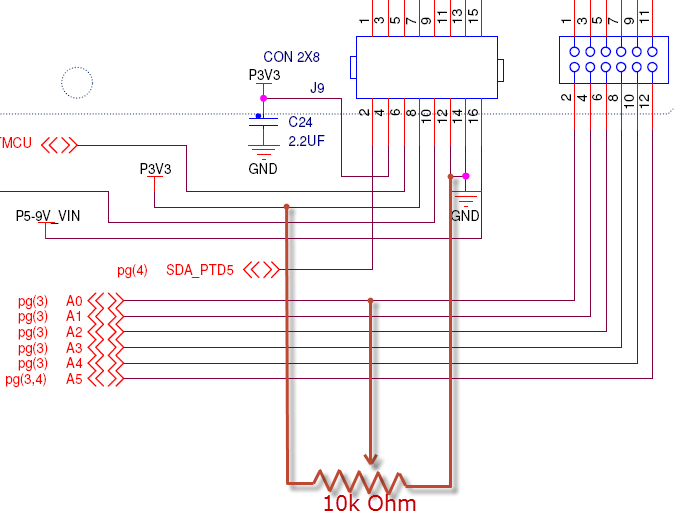 💡 While this tutorial is for the Freedom KL25Z project, things are generic for any microcontroller supported by Processor Expert. Only the port/pins might be different. 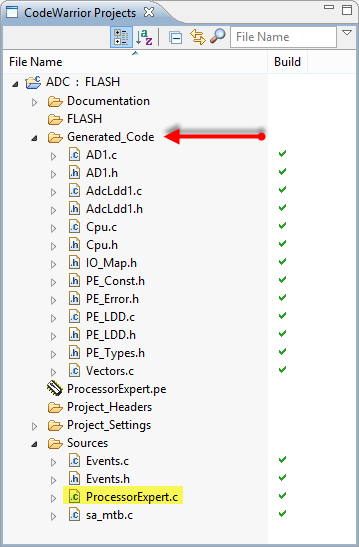 With CodeWarrior for MCU10.3, I create a project with the ‘New Project Wizard’ (menu File > New > Bareboard Project). 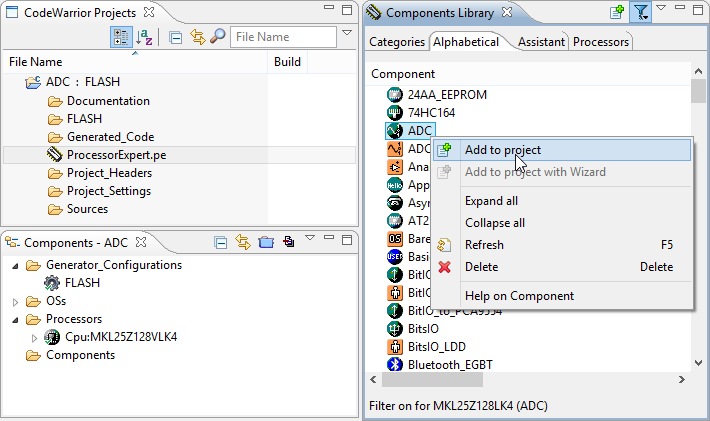 I give a project name, select my microcontroller (KL25Z), connection (OpenSDA), Toolchain (gcc) and Rapid Application Development (Processor Expert). 💡 If the Component Library view is not open, use the menu Processor Expert > Show Views. ❗ I need to click *into* the field to show the ‘…’ button. 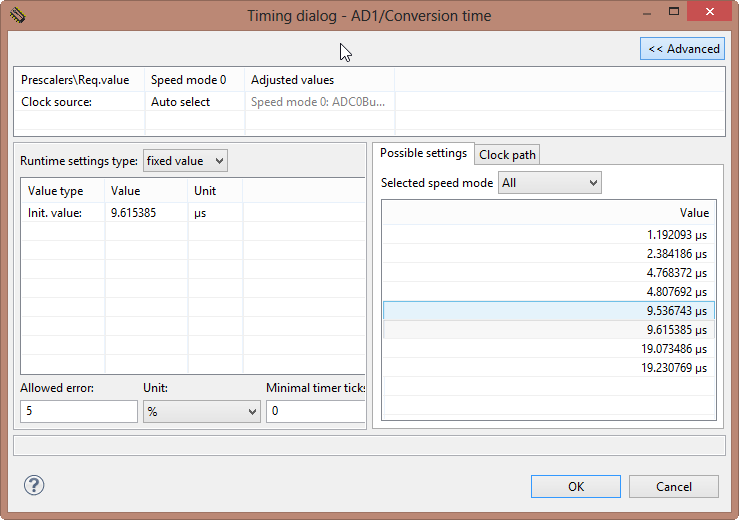 💡 The Conversion Time specifies how fast the AD conversion shall be performed. This has of course an impact on the timing and quality of the conversion. For this tutorial, we simply select a timing. In the next step, I’m going to use it in the main() inside the file ProcessorExpert.c. With the menu Project > Build Project I compile my project. I press the ‘Debug’ button I download the program to the board and let it run. 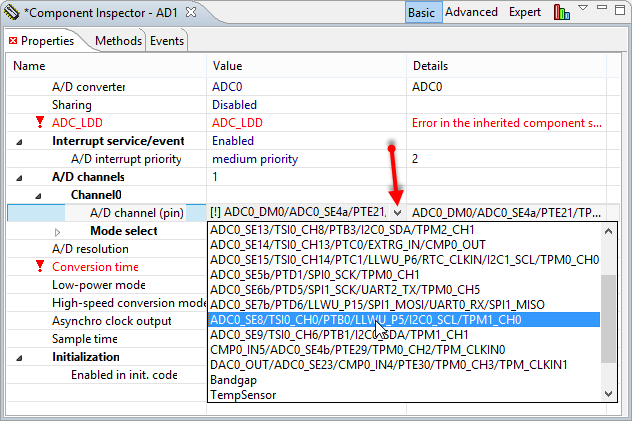 💡 To watch the variable changing in the debugger while it is running, see Live View for Variables and Memory. 💡 I have marked this variable with volatile as the variable is changed in an interrupt service routine, and used the same time from the main program. The volatile prevents the compiler to keep that variable in a register. 💡 Once things are working, consider to put that AD_finished variable declaration into a header file. 💡 I need to click into the field to have the ‘+’ and ‘-‘ icons. With this, my code works with multiple channels. 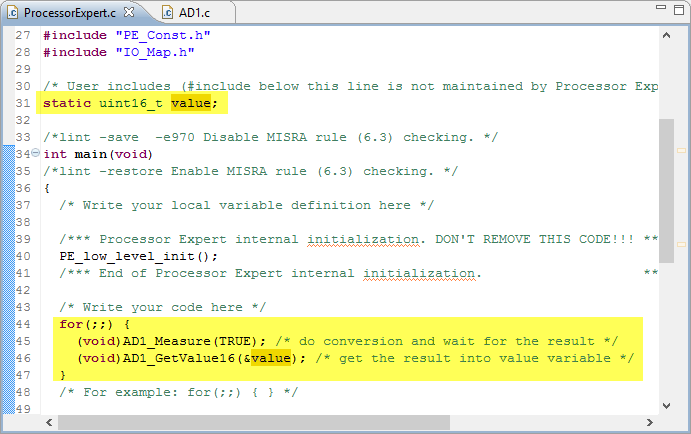 With Processor Expert, it is not very difficult to use ADC conversion. 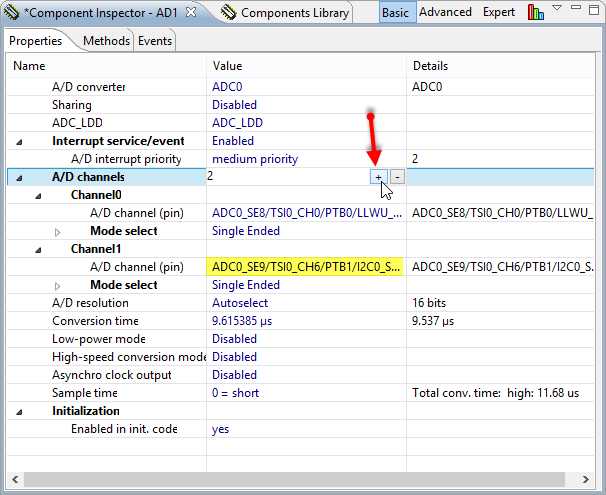 Once familiar with the concept, it is easy to add multiple channels and to use interrupt synchronization. I do not cover here advanced features like using DMA (as not supported out oft the box with Processor Expert yet), or using different conversion modes. I think this is enough for now to get you started :razz:. 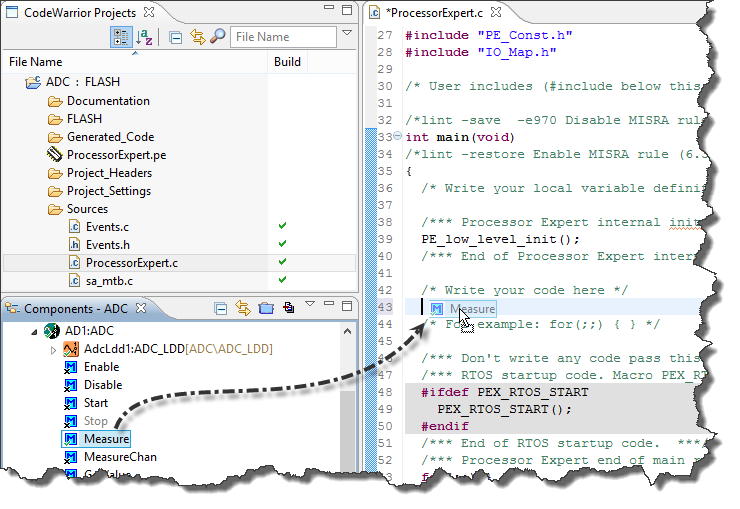 This entry was posted in Boards, CodeWarrior, Embedded Components, Kinetis, KL25Z Freedom Board, Processor Expert, Tips & Tricks and tagged CodeWarrior, Eclipse, Embedded Component, freedom board, KL25Z Freedom Board, Processor Expert, software, Tips&Tricks by Erich Styger. Bookmark the permalink. I don’t see anything wrong with your code. You say it does not send you any error, but I don’t see any error handling in your code (you are not checking the return error codes?). But what means ‘does not work’? Your are always getting zero back from GetValue16()? And if you measure the voltage with a multimeter, what do you get? The other thing is: 90/65535 will be zero, dos that does not make any sense? I am using bandgap voltage as a reference for my a2d channels and measuring the temperature.Some hoe in repeated measurements I see the ADCreading of my bandgap voltage to be half of what is expected. What I am looking at the ADCResult register is around 350 to 500 value in decimal. I would like to know what steps should be taken to debug this. Thanks. I am using a 5 Volt system MKE02Z-FRDM (MKE02Z64VQH4) device with Channel 0 as bandgap and Channel 1 as internal temperature sensor. Processor Expert is being used to setup the software for this. I’m affraid that I don’t have a MKE02, so won’t be able to help out here. The KE devices are so very different from the other Kinetis devices, so I have avoided that extra complexity in my designs and using the usual Kinetis and LPC devices instead. 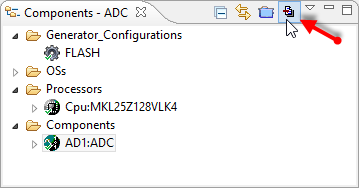 I’m also trying to to configure KE02 ADC, I’m bit new to ADCs, infact 1st experience. Can you please provide me some help, how should I get started. Great tutorial, exactly what I was looking for. Although I ran into an issue: I can’t seem to get the multiple channel read working. I got the single channel read going. But when I switch to more than one channel the generated code doesn’t seem to change. I have tried to generate the code multiple times with slightly different settings. 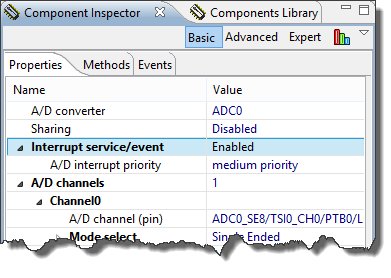 I tried generating different functions to call the channels specifically but that doesn’t work either – when I do try and read multiple channels it just reads the same adc channel over and over again. Has anyone else experiences this issue? Does anyone have any direction they lend me? Which call are you using to read the multiple channels? Make sure you pass a pointer to a buffer large enough for all the channels. 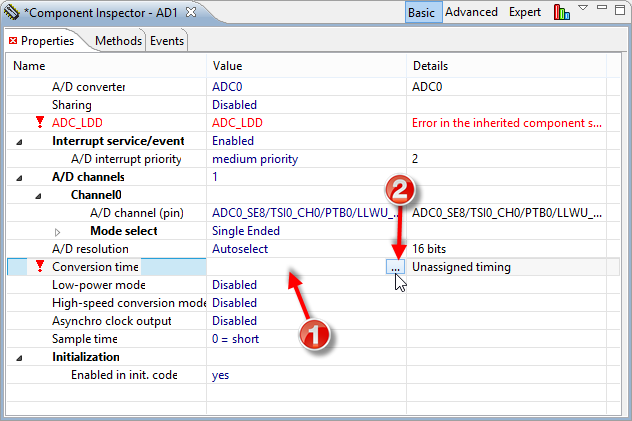 I have tried numerous different calls to get multiple ADC values. Here is the code that is generated to retrieve multiple values with a pointer – to me it doesn’t appear to be correct.
} //Can someone confirm this is what should be generated when for retrieving multiple values? And yes, I created an array large enough to hold all the values. I appologize for my late reply (did not see your comment somehow). Basically passing a pointer to the array with AD1_CHANNEL_COUNT number of 16bit values. Have you used KE02 ADC??? I’m trying to configure it for a couple of days now for my application without success, and there is not much information regarding KE02 ADC on web. 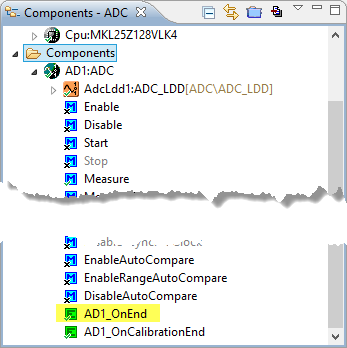 I quickly tried it with Kinetis Design Studio (KDS) for a KE02 and added the ADC Processor Expert component, and that worked fine. So this might be a good starting point for you too? Thanks for your reply. Yeah I’m using code warriors. 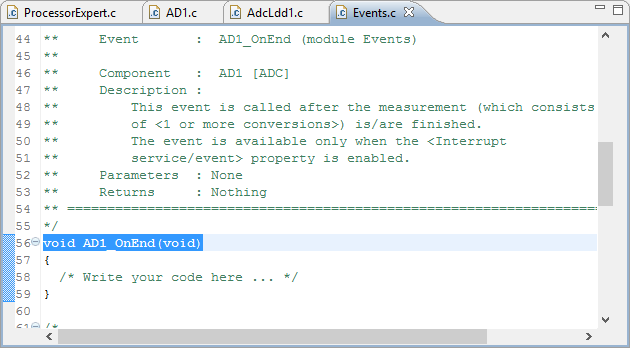 I already added ADC_LDD component, currently i’m trying to configure ADC for single channel, but I’m not able to call the functions properly to get the measured valued. I tried the steps you mentioned in this tutorial, but without success. Can you please provide the source code you used to get the measured values? The source code is the same as in this article. But I’m using Kinetis Design Studio, but this should not matter? Unfortunately still I’m stuck. I’m getting nothing,the buffer variable isn’t updating. 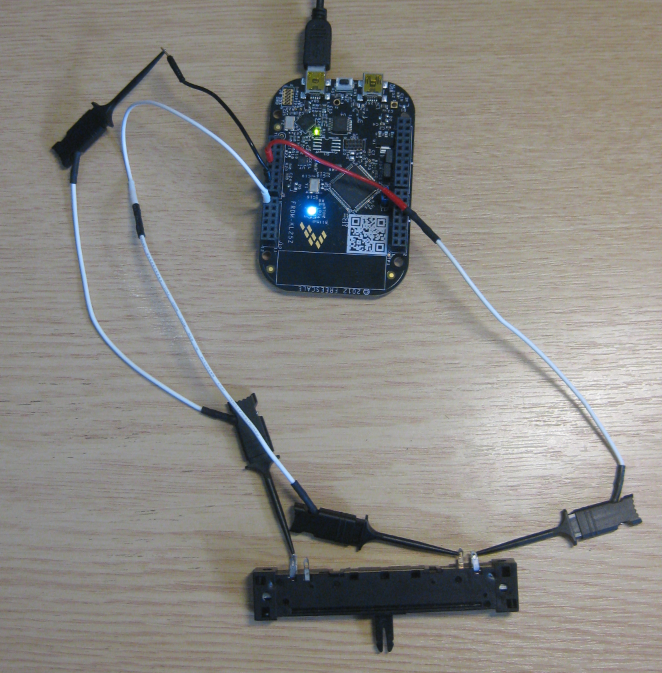 I want to measure a voltage level from a GPIO. I have to measure four channels, but initially i’m trying to get measurment for a single channel. I hv no idea what I’m doing wrong.